A lot of people think that wedding invitations are just a small part of the whole shenanigan, that they aren’t very important since people throw them away anyway. To say that this is a wrong concept would be an understatement. It’s true, guests do throw invitations after the wedding. But then again, we can’t expect anybody to keep them on display if not even the bride and the groom put a lot of effort into them. Choosing the correct wedding invitations doesn’t have to be a complicated process, but it can be tricky if you’re looking for something unique and interesting, without overdoing your budget in order to achieve it. 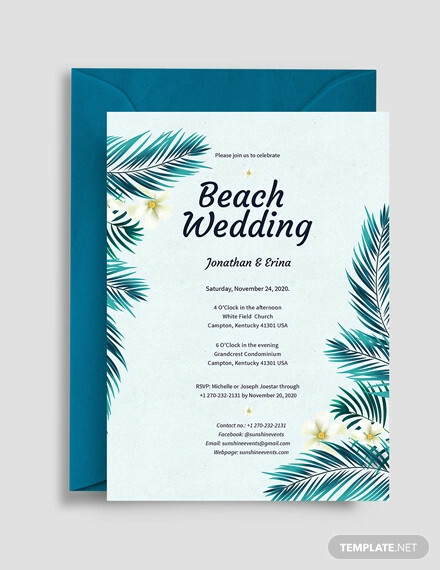 There are a few basic elements of a unique wedding invitation design to keep in mind if you’d like to take a different path and do something a little bit different from all the other brides. 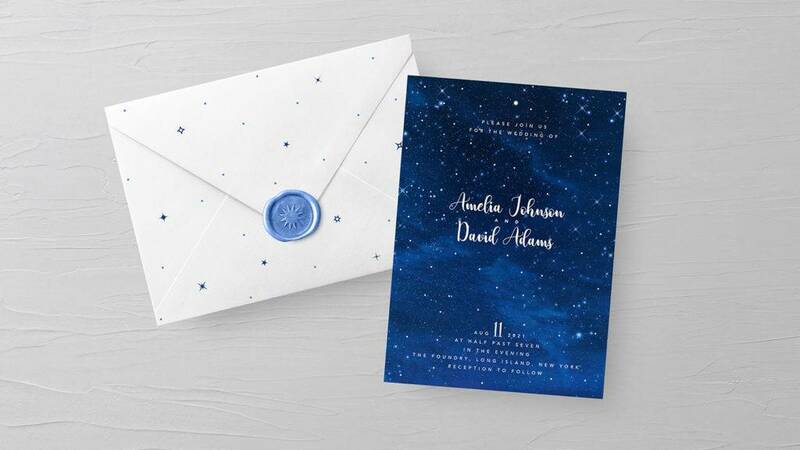 Incorporate the envelope: Although the envelope may be an added extra in order to be able to send your wedding invitation to faraway relatives and friends, you simply can’t forget to incorporate it into your design if you’re opting for a unique wedding invitation design idea. 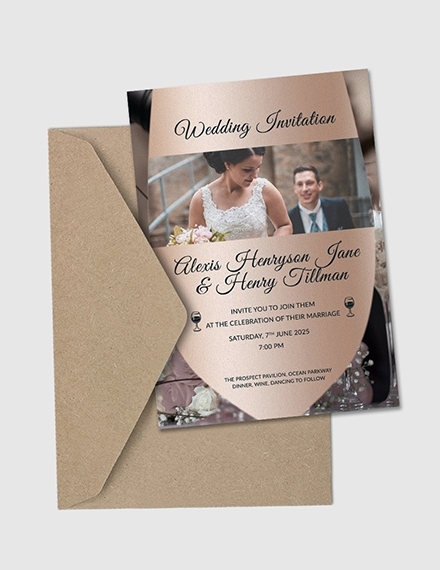 You can either continue the design from the wedding invitation on the inside of the envelope, or you can choose to add certain elements of your unique wedding invitation design to the front of the envelope, depending on which one will work for you. Avoid online inspiration: If you are sincere in wanting something unique, something out of the box, something that nobody has ever done before, the last thing you want to do is to find inspiration from what everyone else has been doing. Sure, there are plenty of amazing and unique wedding invitation ideas online, but it won’t be unique to you if you’re doing what others have already done. Try to come up with your own unique ideas and bring them to life. Choose your own wording: Your wedding day is one of the biggest announcements you will ever make in your life, so do it right. Remember that this day is your day to do with as you please. Announce your wedding day in any way you want with any style of wording that suits your fancy. The sky is the limit. Opt for other materials: Choosing paper isn’t exactly a unique material for wedding invitations since the whole world has been using them for that purpose since a million years ago. If you’re really aiming for a sweet unorthodox wedding invite, why not try for a message in a bottle-themed invitation? 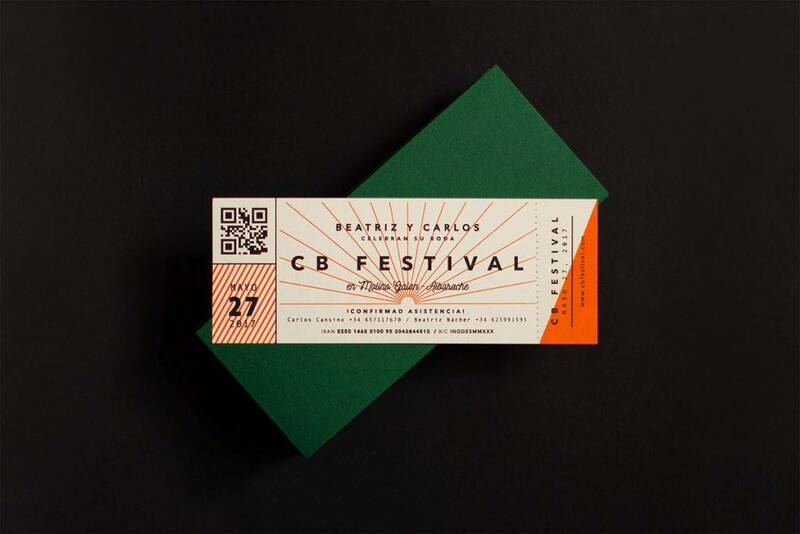 Or maybe print your invites on fabric, or have them laser cut out of wood, or if you’re really choosing paper, have them create a 3D effect on it to at least take it out of the mainstream. Invitations are one of the most essential parts of planning a wedding because they set the tone for what the guests will expect on the wedding day. Is the wedding invitations vintage-themed? Or is it all red flowers under the night sky by the beach? Invitations are also great at creating excitement and anticipation. This is, after all, a major milestone in your life. The simple act of receiving the perfect invitation can make anyone want the wedding to arrive sooner. It’s also a necessary tool for providing important information about the ceremony such as who’s getting married (duh? ), when and where the event will be, and what the guests are expected to wear. Designing wedding invitations can be scary, especially since you only have one chance to do this right. Which style should you choose? How can you fit all the important information in the invitation without making it look cramped? Should you go for vintage floral or modern minimalism? 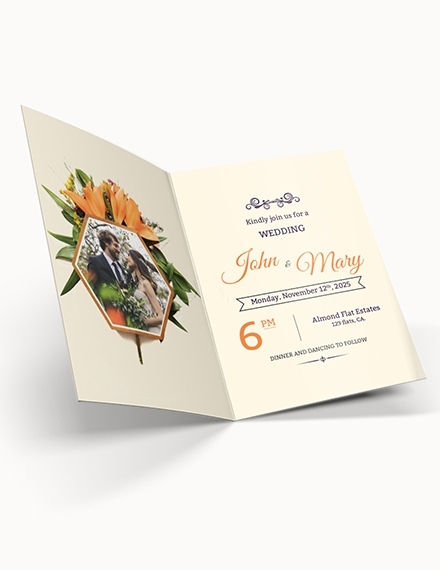 To settle these questions, here are simple tips for an excellent wedding invitation layout. Every invitation design will fall into a style category, or perhaps a combination of a couple of styles. 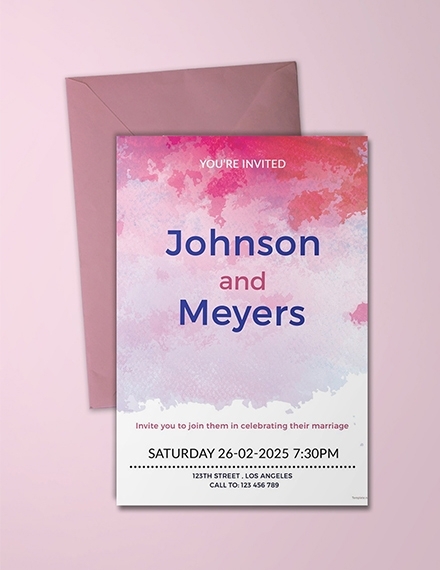 But staying true to a particular style, especially if the couple is having a themed wedding, or love a particular period or genre, can be a great way of giving your invitation project a strong focus. Traditional and Elegant. This style is classic, timeless, and appropriate for both formal and informal weddings. You just can’t go wrong with this one. You also won’t risk offending the older, more conservative members of the wedding party, nor will you bore the younger ones, with this beautiful, tasteful style choice. You can achieve this style with script fonts, floral borders, and dainty colors. Art Deco. Another old-school style, but one that gives off a stronger vintage vibe. An art deco invitation style brings a lovely, symmetrical quality to your designs and adds a distinctly glamorous edge with lavish geometrical designs and luxe colors. Mid-Century Retro. Although this style borrows its design from the 1950s, it still gives a chic twist, making it look very relevant and timely. Pastel colors, Americana-inspired typefaces, and vintage-inspired graphics, like ribbons and badges, bring a fun, informal twist to this wedding invitation. 2. Think about the practicalities. Before you dive into designing your invitation, you need to consider a couple of practical issues first. First of all, what will the dimensions of your invitation be? Will it be in oriented portrait or landscape? Most invitations are designed to fit inside a standard envelope. 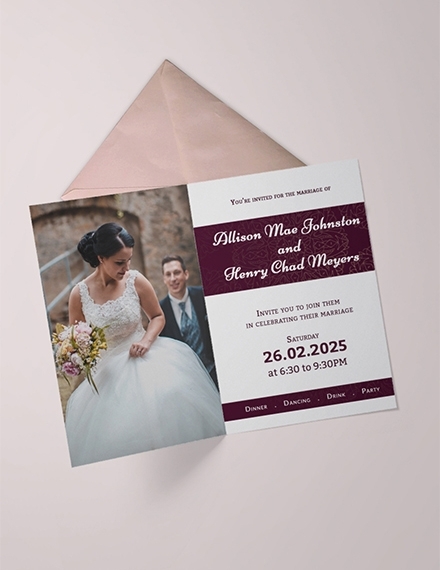 If you’re sending your design to a professional printer, they may use their own standard-size envelopes for invitations, so your first task should be to get in touch with your printer and seek their advice on sizing. If you’re planning on saving money and source the envelopes yourself, you should do this first, and size your invitations to fit your chosen envelope size. Photography is very under-used on wedding invitations. 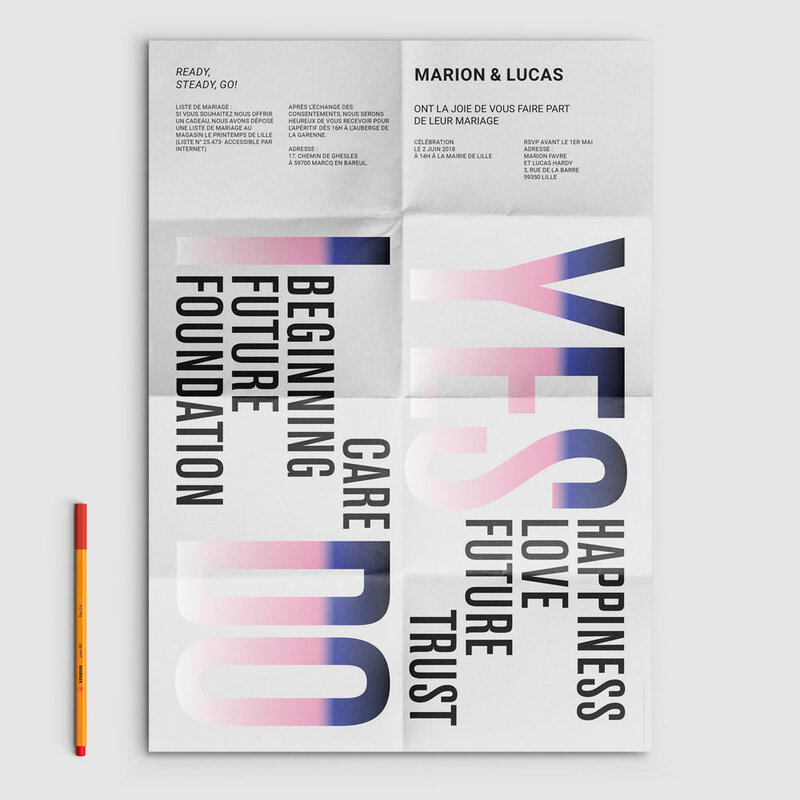 Most people overlook the fact that designs tend to have a typographic or illustrative focus instead. To give your wedding invitation a unique look, consider introducing photos into the layout. 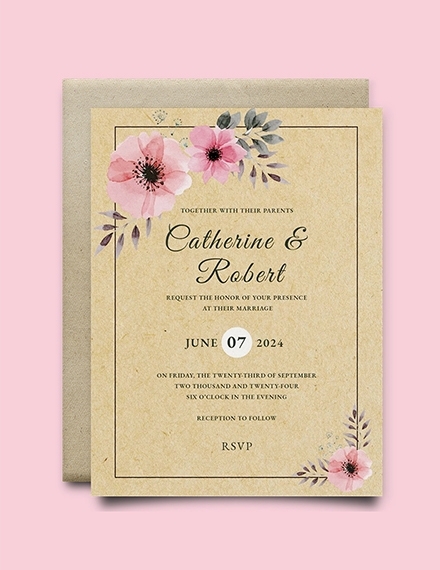 This can also make your invitations look modern and fresh, which is ideal if you’d rather avoid the vintage route. You can incorporate photos of the bride and groom-to-be, for an alternative photo-based wedding invitation. 4. Align your type centrally. When it comes to typesetting the text for your invitation, it’s best to follow a traditional, tried-and-tested formula. 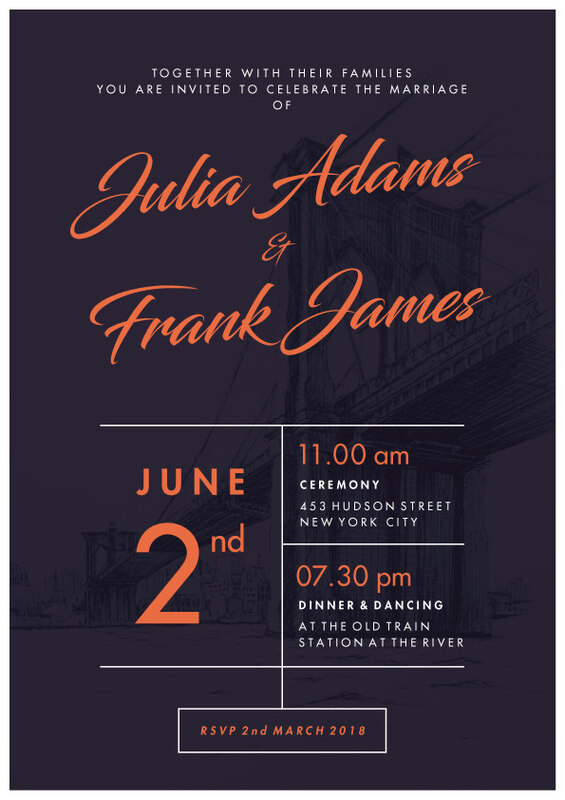 Even if your invites have a modern, unconventional design, you should still align your text centrally, since it will make your text appear instantly more formal and important, and gives the invitation an overall important and notable look. Smaller chunks of text, such as the names and the dates, will also look more organized and more elegant when aligned centrally. Flushing the text off-center can make your headers look a little messy. So make sure to drag a vertical guide out to the dead-center of the page. 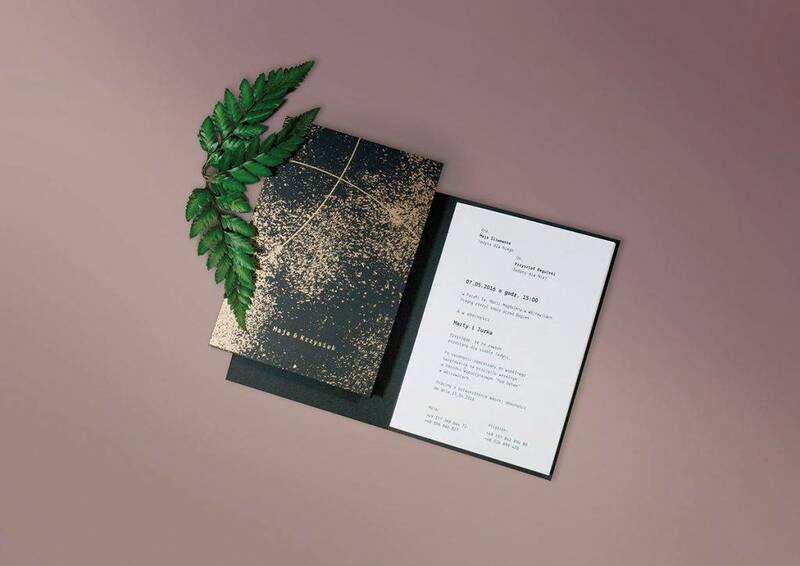 Deciding to make your own wedding invitations can be a little daunting at first, but with a bit of careful planning, you can end up with a beautiful, totally bespoke stationery at a fraction of the cost. Here’s how to do it. 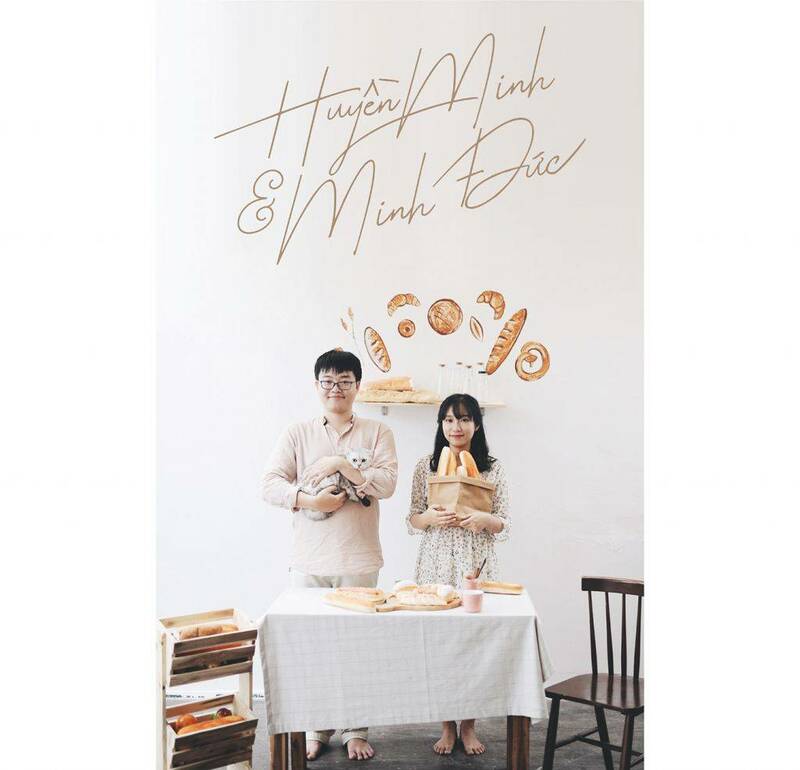 Usually, the wedding invitation’s design is also the theme for the whole wedding, which means that you are not only styling a piece of card, you are styling a whole event. Your invitations are the first impression that guests get about your wedding, so take the time to get it right. You must set a budget from the start since you really don’t want to design your perfect invitation only to find out that you can’t afford it. There’s nothing more heartbreaking than that, so make sure that you’re being practical from the very beginning. Think about the number of people you will invite so you can estimate how much you will spend on it. 3. Start with the basic invitation. There are loads of different styles and types of cards, depending on your budget and the amount of information you need to include. When you order your samples, try to make sure that you have some of each style to see what would work for you. Flat unfolded cards or traditional card blanks are great if you’re on a budget or don’t have huge amounts of information to include. Wallets are great for including lots of extra information inserts, RSVP cards, as well as the main invitation themselves. There are also in-between options that give you the freedom of a wallet on the budget of a traditional card. Engraved Wedding Invitations. 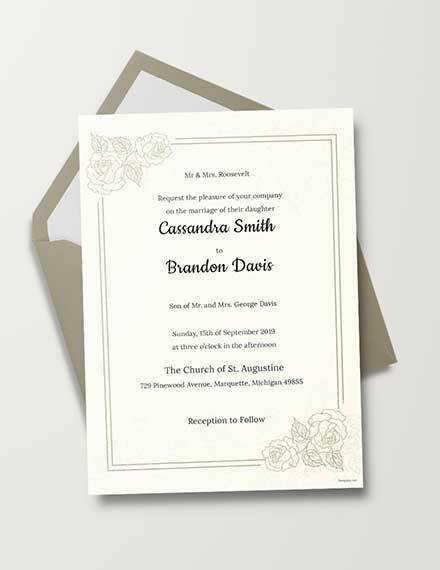 Engraving is a form of printing being used for the most formal types of wedding invites. The printing will leave raised letters on the paper which can create a sophisticated, clean look. Engraved wedding invitations are very expensive and are usually for very formal weddings where the budget is not a constraint. Thermographed Wedding Invitations. Engraved wedding invites look very elegant and, naturally, everyone would want to have them for their wedding. Unfortunately, it’s too expensive. Thankfully, the use of thermography is an available alternative. This is a kind of printing that gives a similar effect to engraving but without the added expense. Off-Set Printed Wedding Invitations. This is just the regular kind of printing that is usually used for business printing needs. 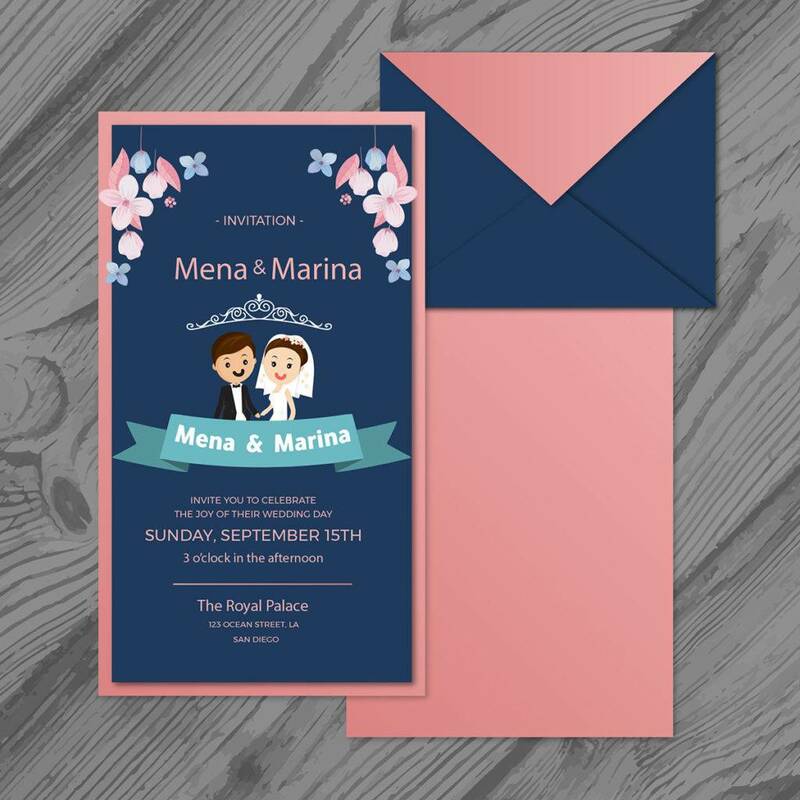 Such printed invitations are very affordable but are not very ideal for weddings, since they don’t possess the same elegance and grace suitable for such an occasion. Handwritten Wedding Invitations. As the name suggests, such invitations are written by hand, usually on plain white letter sheets. 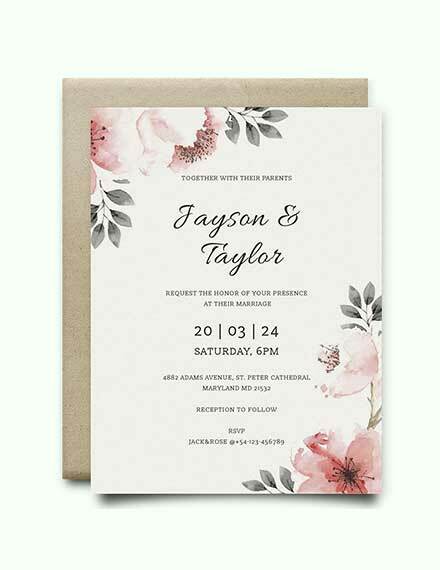 Handwritten wedding invitations are not appropriate for very formal weddings, but if you are planning a small gathering with close friends and family members, this is perfect for you. Contemporary Wedding Invitations. 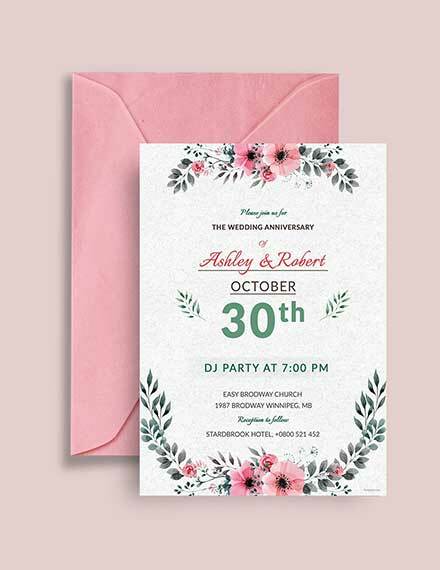 While most traditional wedding invitations are usually printed on white or ivory paper, contemporary wedding invitations use different colors and designs, such as floral-themed or photo-based invitations. If you want to give an extra personal touch to your invitation, contemporary is the best option for you. 5 × 7 inches – The most common invitation size. 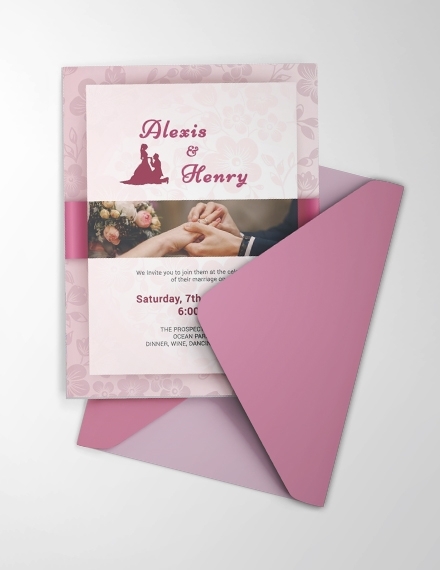 5 1/2 × 5 1/2 inches – The square invitation is well-suited to more modern designs. 6 1/2 × 8 3/4 inches – This is a slightly larger rectangular invitation. 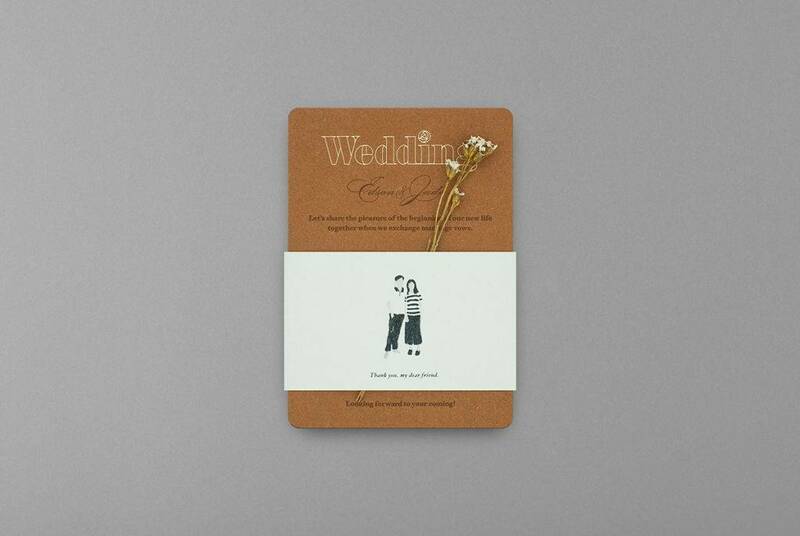 4 × 9 1/4 inches – This slim wedding invitation is also popular and can be oriented to print vertically or horizontally. 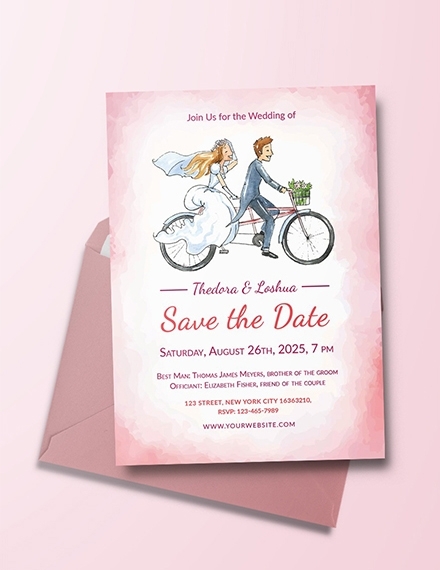 Traditionally, invitations go out six to eight weeks before the wedding to give the guests plenty of time to clear their schedules and make travel arrangements if they don’t live in town. If it’s a destination wedding, it’s best to give guests more time and send them out at least three months before the big day. 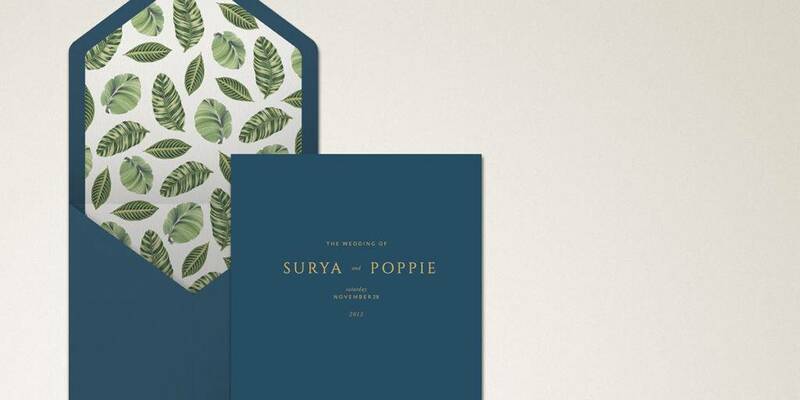 What is the average cost of a wedding invitation? According to a wedding industry survey site, the average cost for 150 invitations and response cards is $245. Factor in save-the-dates, menu cards, programs, thank-you cards, and place cards for an average grand total of $750, minus the postage. Traditionally, the name of the bride always precedes the groom’s name. Formal invitations issued by the bride’s parents refer to her by her first and middle names, the groom by his full name and title. If the couple is hosting by themselves, the titles are optional. 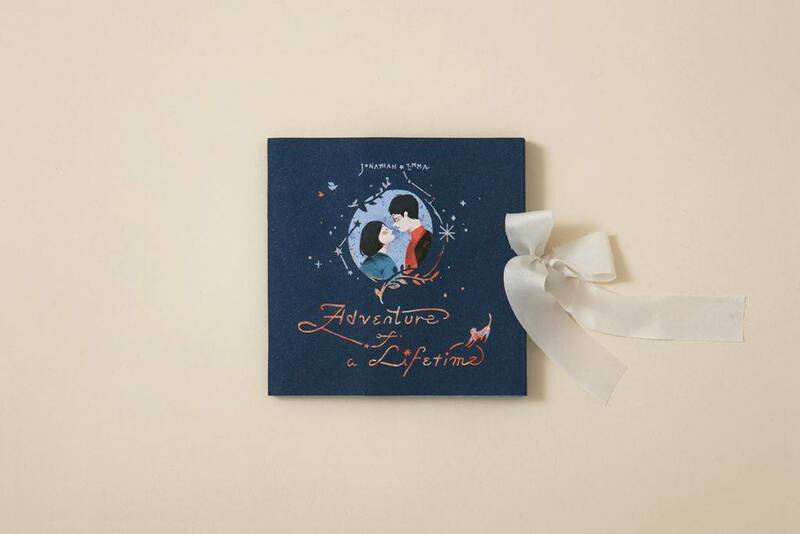 Your wedding invitation will also serve as your memento of one of the most transformative days of your life. As a rule, just make sure it will look good on a frame. You’ll want to keep that forever.